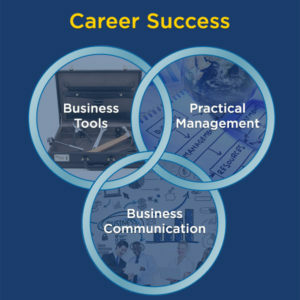 Bio: 'Career Success' is a specialization offered in Coursera made up of 9 courses and a capstone project. The courses cover topics such as basic project management, time management, work place communication, and finance for non finance majors. These self paced courses use a lightweight, streamlined courseware and take about 2-4 hours to complete. This specialization focuses on general work place skills that can help anyone regardless of their specific profession. Even if your position won't require entrepreneurial, management, or finance skills; these courses can give you a frame of reference as to how your actions will end up affecting those interest, or how the decisions those interest make will end up affecting you. The content is given primarily through video lectures. Each of the nine courses are presented by a different instructor, so the quality varies between them. I would say only a few of the courses felt lackluster, with the rest being relatively interesting or even enlightening. Accomplishments: There are multiple choice quizzes at the end of each lesson in a course that require 90% to pass. Students are allowed one attempt every 8 hours, but still have unlimited attempts overall. Most of the problems are parroting back parts of the lecture or fairly obvious anyway. I completed all nine of the courses, but did not attempt the Capstone project, as the ease of passing did not seem to justify paying for certification.